If the heart of modern Athens beats in and around Syntagma Square, with its shops, banks and services, then its soul resides in Plaka. Most descriptions of this picturesque quarter begin by saying it is the “oldest” neighborhood in Athens. Defining “old” can be a challenge, of course, especially when sitting on a slab of ancient marble from the 5th century BC, surrounded by 19th century neoclassical mansions and gazing upon the Roman Agora – built by Julius Caesar and Augustus – where a medieval mosque (1456) and a 2nd century BC weather vane also stand. Like much of central Athens, Plaka has come alive with colourful buildings, a tradition that may have started with the 2004 Olympics when locals were urged by city leaders to apply fresh paint. The residential part of Plaka, as we see it today, first took shape in the 19th century, when heroes of Greece’s 1821 War of Independence and wealthy merchants who formed the still small but dynamic middle class built their homes in this privileged part of the city. Athens had become the capital of the newly liberated state, and Plaka’s development by social elites was an expression of a changing society. Today, it is just as much of a privilege to have a Plaka address as it was for the 19th and early 20th century aristocracy, which grew out of Greece’s academic, political and mercantile classes. 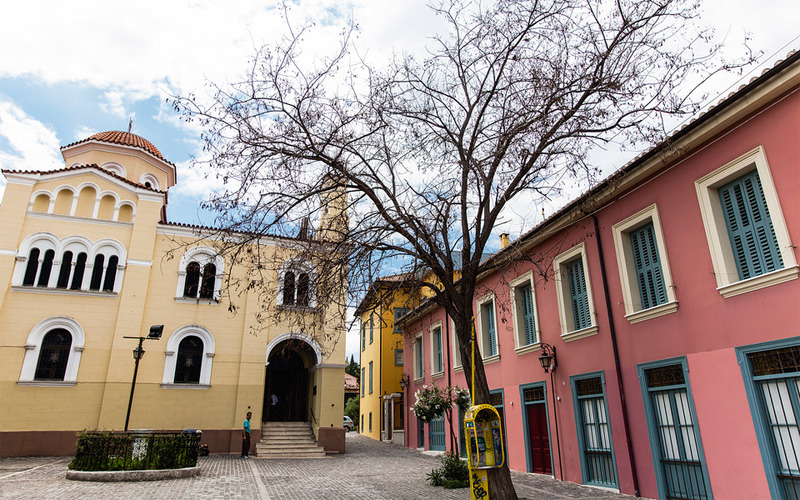 Efforts to preserve Plaka’s elegant structures have helped to salvage the neighborhood’s historical character, especially from the onslaught of mass tourism that began in the 1980s. Yet Plaka has also not forgotten its roots, as some of the quaint, smaller houses testify. 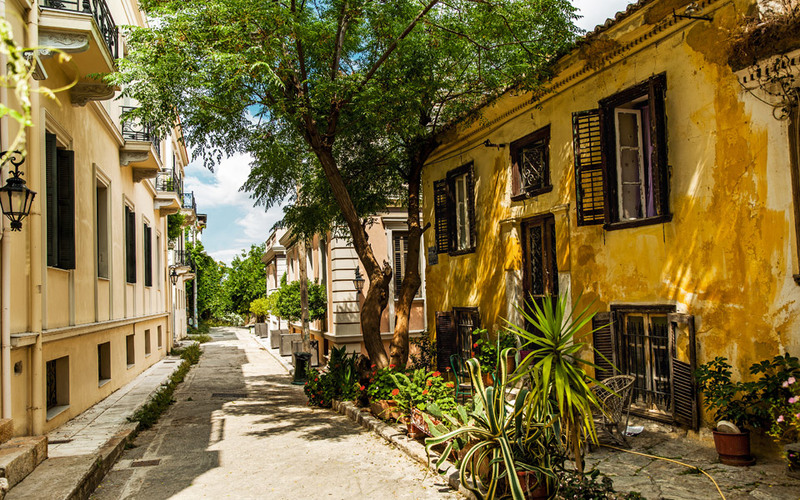 For Athenians who seek a dose of grace in an otherwise rather graceless city, it is sheer pleasure to wander through Plaka’s snaking streets, discovering new aspects of the neighborhood at every turn and reconnecting with a bygone era. One cannot help but think, while gazing around Plaka, that this is what makes Athens so unique: Its history and visible layers of aesthetic heritage that surround us are not just exhibits to be seen in one of the city’s many museums; they are part of everyday life. When August hits, tourists have the city to themselves.